Van Hubbard has lived and worked on Florida waters from the Big Bend to Key West. Van began fishing with cane poles, then worked his way up to commercial fishing – both hook and line as well as netting. He earned his captain’s papers in 1976 and since then has been guiding both offshore, inshore and back country charters. 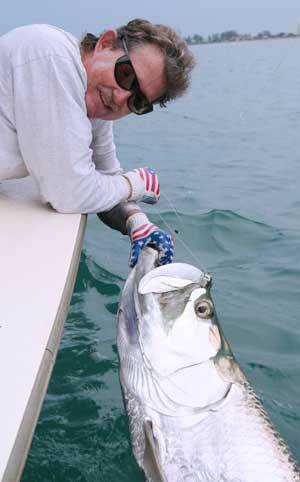 Van has written articles for the Boca Beacon since the 1980s and also hosted a TV series called, ‘Let’s Go Fishin’ a show that frequently featured Boca Grande. He works with the Florida Fish and Wildlife Marine Research Institute, National Marine Fisheries, and his favorite, the William Mote Foundation.